At the BC Home + Garden Show, a photo by acageybee on Flickr. Wood panel prints are here! I’ve been hard at work making 3 sizes – the sweet 3x4s that look adorable tucked alongside your books on a shelf, the 6×6 square & a new bigger size – 8×10. I love the look of the glossy resin on top. 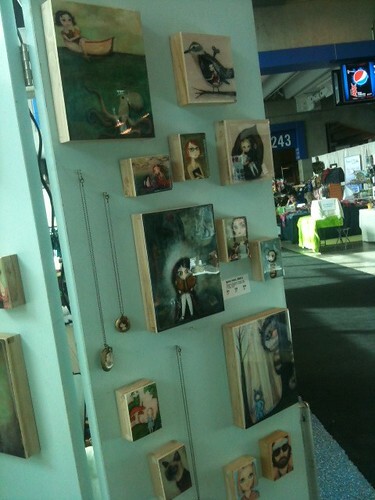 They’re on display right now at BC Place for the Home + Garden Show (on until Feb 26th).